South Indian cities like Chennai, Bangalore and Hyderabad often get lauded for their multiple merits. In fact, if you search for lists such as this pertaining to these cities, you would possibly find a few day’s worth of reading material whereas for Coimbatore, the result is next to nothing. Odd, we say because Coimbatore has some fascinating features many of which are better than what the more-appreciated cities have. Here we list some of the things that make Coimbatore brilliant. The city earns the tag owing to the overwhelming textile industry here. The cotton fields are a thing of beauty but the magic the weavers spin on garments is something else altogether. The world is definitely all the poorer for glam if this incredible industry populated by some of the finest craftsmen in the world didn’t exist in this South Indian city. The beauty of this city is so alluring that even grandmas with fading eyesight are struck by it. Coimbatore has a Formula 3 Auto racing circuit. How cool is that? This is one of the few circuits of the kind in the entire nation and not surprisingly Coimbatoreans are insanely proud of it, like a mother dragon would be proud of her baby who could fly way higher than any other dragons in the land. Only, with the Kari Speedway, it’s not flying but racing that catches your imagination-wheels spinning, heart pounding and sometimes stopping with all the excitement! The Siruvani waterfalls are charming to look at. The way the water beautifully cascades down the slope, frothing and brimming as though happy to tumble down for the joy of humans makes you think, “Hmmm…the travel agent was right, after all. This is pretty good!” and there’s a dam as well which provides the water to the people of Coimbatore. Though all life is supposed to have originated from the oceans, at least in the humans’ case, there seems to be something which pulls us to the heights of mountains. It was the British who christened many mountains as a hill-station and started treating them like retreats. Anyway, now that the British are not around, we have free access to the mountains..ahem..hill stations. And those in Coimbatore are strategically placed to make use of this facet, the famed beauties like Ooty, KodaiKanal and Coorg all just a short ride away. Though Make in India is yet to make any serious wave in the nation, Coimbatore has been a hub of manufacturing in South India for a long time . With over 25,000 small, medium and large business enterprises functioning in the city, the major industries are textile and engineering and the city still continues on its track of being hardware – centric, being unique in that sense as opposed to other South Indian states like Bangalore which relies more on the software industry for growth. 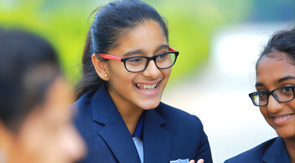 "Manchester is a lovely, nurturing school with a fantastic ethos and dedicated, caring teaching staff. We have been particularly impressed by the breadth of the curriculum together with the huge range of extra-curricular activities on offer. Since joining MIS, our son has discovered a passion for engineering, a talent for keyboard and an interest in philosophy which really says it all. Cognates Manchester for being one of the Best International Residential schools in India."